Nationwide, the typical oceanfront or lakefront, single-family home is worth more than double the median value of all homes, and in some communities the median waterfront house could be worth ten or more times the median value of non-waterfront houses. In the U.S. at the time of this analysis, the median single-family home was worth about $171,600, while the median waterfront house was valued at $370,900, a waterfront premium of 116.1 percent. Among large cities analyzed, the biggest difference between median non-waterfront single-family home values and median waterfront house values are in Tampa, Fla. (waterfront premium of 733 percent); Honolulu, Hawaii (waterfront premium of 334.5 percent) and Long Beach, Calif. (waterfront premium of 321.6 percent). 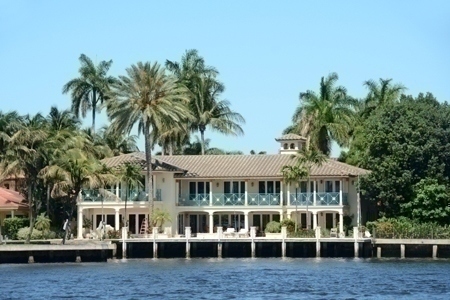 The median waterfront home value is calculated in the same way as the Home Value Index, and represents the median value of all single-family waterfront homes in a given community. The index includes single-family homes located 150 feet or closer to the waterline of an ocean or lakes with a total combined size of 10 square kilometers or greater. Properties separated from direct waterfront by a road with a speed limit of 25mph or less are also considered waterfront. Riverfront properties were not included in this analysis, nor were condominium or co-op housing units. The initial analysis covers 250 cities and towns nationwide with at least 100 waterfront homes meeting the above criteria. The oddest thing is that finding a small house on the water is nearly impossible as home owners maximize the value of the lot by building large homes which makes the price even higher. Like finding a unicorn!